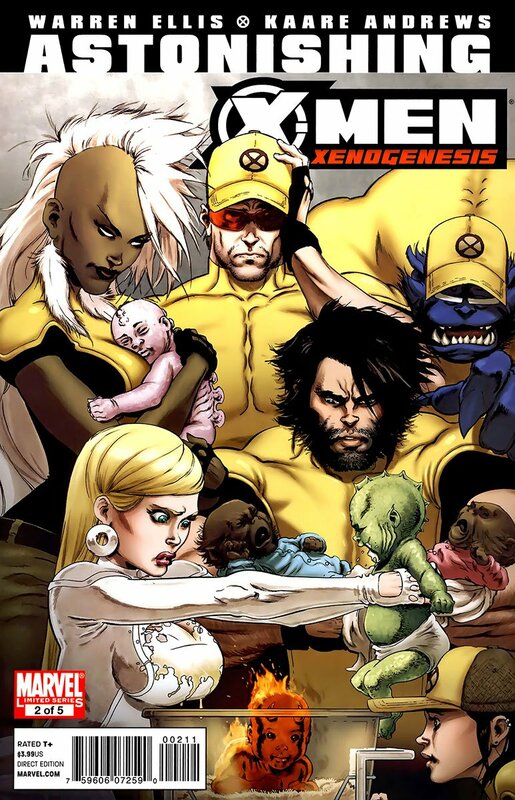 Hoping to witness the rebirth of the mutant species, the X-Men head to investigate a small East African city where strange things have been happening. But what they find may just be something far more sinister and dangerous...and familiar. Notes: Kaare still seems to be having fun with Emma. 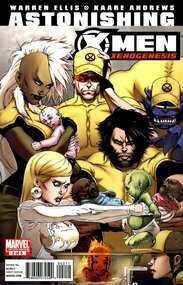 Emma holds a baby and tells Cyclops to save further comments for a time when she can beat him in private. Also a few other "moments".